Join us for an exciting lecture series taking us beyond asana to explore the tangled roots of yoga. We have invited the most important scholars and teachers in the field. Each event can be booked separately, or you can attend the whole course for a significant discount. For everyone: students, teachers, and anyone interested in Yoga, Philosophy and History. James Mallinson: Yoga is one of the world’s most popular ways to physical and mental wellbeing. In its early descriptions, however, which date to more than two thousand years ago, it is practised by world-denying ascetics and closely associated with methods of self-deprivation, including extreme practises of bodily mortification. In this talk James Mallinson will describe yoga’s origins and its transformation from an ascetic path to liberation undertaken by those on the fringes of society to a wholesome method of achieving wellbeing available to all. Mark Singleton: A talk on the physical practices of yoga. A general history of āsana, including the modern. Full description coming soon. In this talk Daniela will explore the yoga practice of Hindu ascetics in India. Before describing their physical practice, she will introduce their religious background and affiliation, and then clarify what yoga and haṭha yoga mean according to them. Afterwards Daniela will describe the performance of yoga āsanas made by some of them with her (a kind of sādhu yoga session) and the public performance of yoga āsanas during religious gatherings, creating some comparison with modern yoga practices. In the twentieth century, Yoga is often presented as a 'sister science' to Ayurveda and is increasingly promoted as able to promote longevity and 'wellness'. In this talk, Suzanne Newcombe will present some interesting vignettes of points of contact between these traditions. She will outline the extent of current knowledge of the overlapping histories of yoga, ayurveda, longevity practices and rasaśāstra (Indian alchemy and iatrochemistry) from the tenth century to the present, based on the research findings to-date of the ERC-funded AYURYOG project. Colin will begin to reveal the hidden meanings and explain clearly key concepts within Chapters One and Two of yoga’s main philosophical text: Patanjali’s Yoga Sutra. The lecture itself will combine practices, with clear, down-to-earth explanations and group discussions of the key promises of yoga. Drawing from a number of tools: asana; pranayama; meditation; visualisation and mantra, the evening will be a wonderful mix of experience, teaching and participation. The theory, experience and the practices will lead us to take practical examples that will de-mystify the often confused concepts such as: how yoga views the mind; how yoga can be practiced to find stability and peace; and how we can use yoga to overcome obstacles in our lives? You should leave with a solid framework of understanding that shows a system that is as relevant today as it was over 2000 years ago. James Mallinson is Senior Lecturer in Sanskrit and Classical and Indian Studies at SOAS, University of London. His interest in yoga grew out of a fascination for India and Indian asceticism – he spent several years living with Indian ascetics and yogis, in particular Rāmānandī Tyāgīs. His MA thesis, part of a major in ethnography, was on Indian asceticism. He became frustrated, however, with (to quote Sheldon Pollock) the “hypertrophy of method” that afflicts much of the humanities, and anthropology in particular, so sought to ground his future research in philology. The one aspect of ascetic practice that is well represented in Sanskrit texts is yoga, so for his doctoral thesis he chose to edit an early text on haṭhayoga, the Khecarīvidyā, which teaches in detail khecarīmudrā, one of traditional haṭhayoga’s most important practices, and he used fieldwork among traditional yogis in India to shed light on the text’s teachings. As he worked on his thesis he became more and more unsure that the received wisdom on the origins of haṭhayoga (whose practices form the basis of much of modern yoga) was correct, in particular its blanket attribution to the Nāth sect, based as that wisdom was on a very small selection of the available texts and modern oral history (which is rarely a reliable source in India). But it was clear that to put his work in the broader context was going to be impossible while working on his thesis. When he was revising it for publication a few years after completing it, he was asked to contribute to a volume on the Nāths and their literature. He agreed and decided to concentrate on the corpus of texts of haṭhayoga. It soon became apparent that this was going to be too big a task for a single chapter of a book and he apologised to the volume’s editor but continued with his research. Four years on he has identified a corpus of eight works that teach early haṭhayoga and about a dozen more that contribute to its classical formulation in the Haṭhapradīpikā. With this philological basis established it has been possible at last to put all of haṭhayoga’s aspects into context, which is what he is doing in the monograph on which he is currently working, Yoga and Yogis: The Texts, Techniques and Practitioners of Early Haṭhayoga. Many of the conclusions that can be drawn from the corpus and the other sources he uses (from Mughal miniatures to his fieldwork amongst traditional yogis) overturn what was previously thought about yoga’s formative period. Although he has decided to present the bulk of the findings in a single monograph (because its parts are all so interdependent), in the course of working on it he has written various spin-off articles and reviews on specific aspects of haṭhayoga. In September 2015, Mallinson became the Principle Investigator of The Haṭha Yoga Project (HYP), a five-year research project funded by the European Research Council and based at SOAS, University of London which aims to chart the history of physical yoga practice by means of philology, i.e. the study of texts on yoga, and ethnography, i.e. fieldwork among practitioners of yoga. The project team consists of four researchers based at SOAS, one at the École française d’Extrême Orient, Pondicherry and one at the Maharaja Man Singh Pustak Prakash, Jodhpur. More information can be found on the project’s website. He has been interviewed on yoga for BBC Radio on Beyond Belief and for the Secret History of Yoga. Daniela Bevilacqua is an Indianist who uses ethnographic and historical methodologies to dig into religious issues of Indian culture. In 2006 she graduated in Oriental Languages from the University of Rome, Sapienza, presenting the thesis Nityasumangali, the ritual and propitiatory role of the Devadasi. In 2009 she completed her MD, specializing in Modern and Contemporary Indian History. Her thesis, Rāmjanmabhūmi: Myth, Religion, History and Politics, analysed historically the origin and development of the Rāmjanmabhūmi issue. Building on this work, she decided to focus on the Rām bhakti and especially on the Rāmānandī sampradāya for her PhD. She received her doctorate in 2015 in “Civilizations, Cultures and Societies of Asia and Africa”, supervised by Professor Mario Prayer at University of Rome, Sapienza, and a doctorate in Anthropology at the University of Paris X Nanterre Ouest La Défense, supervised by Professor Véronique Bouillier. Her work, based on a multidisciplinary approach , was en titled A Past for the Present: The Role of the Śrī Maṭh and the Jagadgurū in the Evolution of the Rāmānandī Sampradāya. Through this work, she came to know Dr Mallinson, who asked her to join the Hatha Yoga Project team due to her ethnographic work among ascetics. Her role in the project is to collect, through fieldwork, historical evidence of yoga practice and ethnographic data among living ascetic practitioners of yoga. Suzanne Newcombe is a Lecturer in Religious Studies at the Open University (UK) where she researches modern yoga from a sociological and social historical perspective. 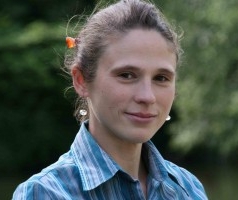 In July 2015, she joined a 5-year project funded by the European Research Council (Horizon 2020) entitled ‘Medicine, Immortality and Moksha: Entangled Histories of Yoga, Ayurveda and Alchemy in South Asia’, see: http://www.ayuryog.org/ for more details. She also has extensive experience in Sociology of Religion specialising in new and minority religious movements in contemporary Britain. Since 2002, she has worked for Inform, a registered charity based at the LSE that researches and provides information on new and minority religions and spiritualities using social scientific methodology. She is also an Associate Lecturer for the Open University in London and has lectured in Sociology of Religion at Kingston University London. Suzanne has published articles in edited books, the Journal of Contemporary Religion, Religion Compass and Asian Medicine. When Colin Dunsmuir was rushed to hospital in his late teens, just two hours away from dying, he had an extraordinary experience that was to change his life forever. Realising there was a lot more to discover he began attending yoga classes in the Iyengar and Sivananda traditions. He then travelled to India to complete the first and second series of Aṣṭāṅga Vinyāsa directly under the guidance of the late K. Pattabhi Jois and his grandson Sharath in Mysore, India. Also, in Mysore Colin began his first Yoga Therapy Teacher Training that eventually led him to study with T.K.V. Desikachar the son of Professor T. Krishnamacharya. Colin has been honoured to be an experienced Yoga Teacher Trainer and Yoga Therapy Trainer in the tradition of T. Krishnamacharya and his son T.K.V. Desikachar for many years. He is also a British Wheel of Yoga diploma course tutor and continues his studies under the careful guidance of his mentor and teacher Bernard Bouanchaud. He teaches yoga full time in central London, specialising in teaching 1-2-1, yoga therapy and training and evolving yoga teachers.